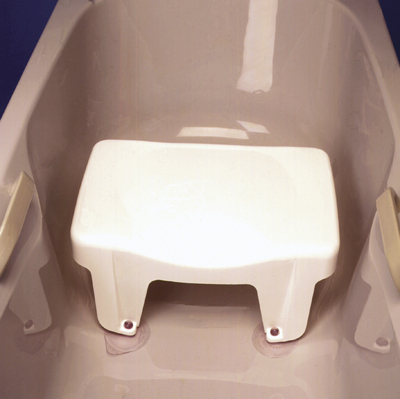 The Cosby Bath Seat is lightweight and secures to the bath bottom with four large suction pads. It is constructed from polypropylene and features a large textured surface area which provides secure seating for the user. The front of the bath seat is cut away to assist with personal cleaning and the suckers have a pull tab for easy removal. It can be used in conjunction with a bathboard which would enable the user to safely raise or lower themselves into and out of the bath.